_Personalized Operation Teddy Bear! Get yours today! Our personalized teddy bears are ready for a forever home. For a donation of $20, you can receive your own stuffed animal. Or you may choose to donate $20 and have one of our stuffed animal be delivered to a tornado victim. 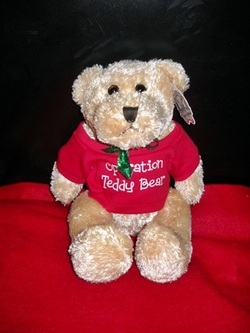 To purchase one through Operation Teddy Bear, please send us an email. And as always, thank you for your generous support. God Bless You.